related portals: United States of America. official name of this agency is 'Bureau of the Census'. 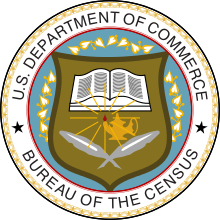 It is part of the United States Department of Commerce and is the agency responsible for the United States Census.